Can I use this coffee server on a warmer? No, this coffee server is not intended for use on a warmer. Damage to the server may occur if placed on a warmer. If you've got a Bunn thermal carafe brewer, then this 51746.0001 Zojirushi 64 oz. 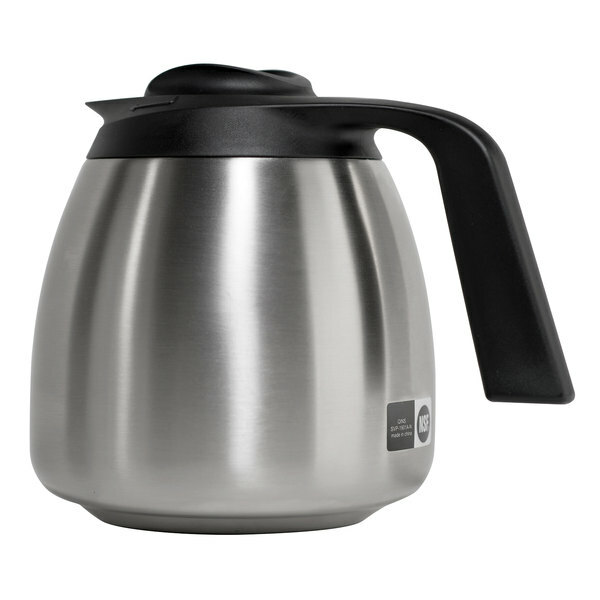 (1.9 liter) stainless steel thermal economy carafe is an absolute must-have! Ideal for restaurants, diners, cafes, convenience stores, and break rooms, this carafe features an unbreakable stainless steel interior and exterior with vacuum insulation that keeps beverages hot for hours. It has a black top and handle to easily identify its use with regular coffee. This coffee container has been fantastic addition to our restaurant. We brew a pot in a glass pot and transfer it into this one. It stays hot for at least 5 hours and doesn't taste scorched. We love it! You can't beat this carafe for the price. We use these carafes with our Bunn SmartWAVE, and they keep coffee hot without the burning that we had with the glass pots and the warmers on our former unit. Guests and staff are very happy that we have changed to the thermal carafes. 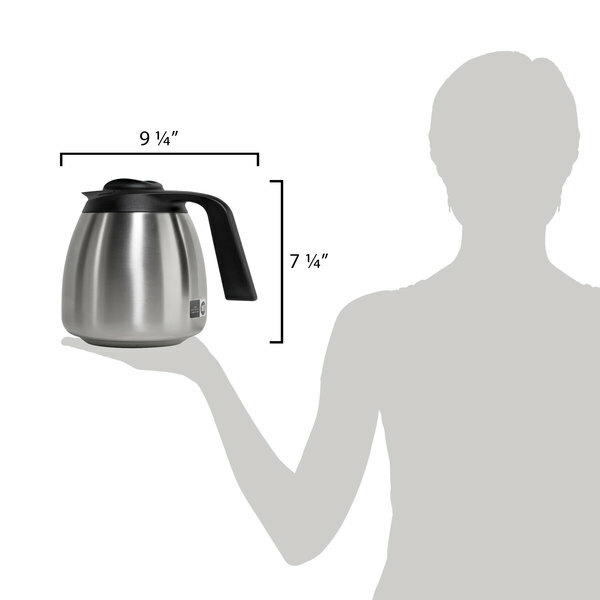 This is an additional carafe that I'd ordered after receiving the first one and our Bunn Coffeemaker. That alone tells you how happy we are with it and also with the service from Webstaurant Store. It holds more than our last thermal carafe and it's amazing how it keeps the coffee warm for hours..... and hours! Overnight and it's still warm in the morning. It'll be wonderful to be able to make 2 pots of coffee in minutes when we have out-of-town company stay with us. I definitely highly recommend this thermal carafe and webstaurant.com! I purchased this thermal pot for an older coffee maker we have at work. We liked it so much that we bought more for other makers in the office. Keeps coffee nice and hot all day.